Ticket Prices £13.00 (£11.50 concessions). Bothered and Bewildered is a family comedy/drama by Gail Young about memory, secrets, loss and love. Set in 2001, the play follows Irene and her two daughters Louise and Beth as they lose their mum in spirit but not in body. You will see glimpses of her past life and her later-life confusion. Irene's favourite author and 'imaginary friend', Barbara Cartland, also appears on stage to provide many humorous interludes. Here's what a Theatre Life reviewer had to say about it. "This has to be one of the most poignant plays I have seen in a long while.....a dramatic and emotional piece, but it has just the right amount of humour in it to make it a very special piece of theatre. I really encourage people to see this as I honestly believe it will resound with you on so many levels. Bothered and Bewildered is Belmont Theatre's entry into the Barnet and District Drama Festival (affiliated to the Barnet Borough Arts Council)​. 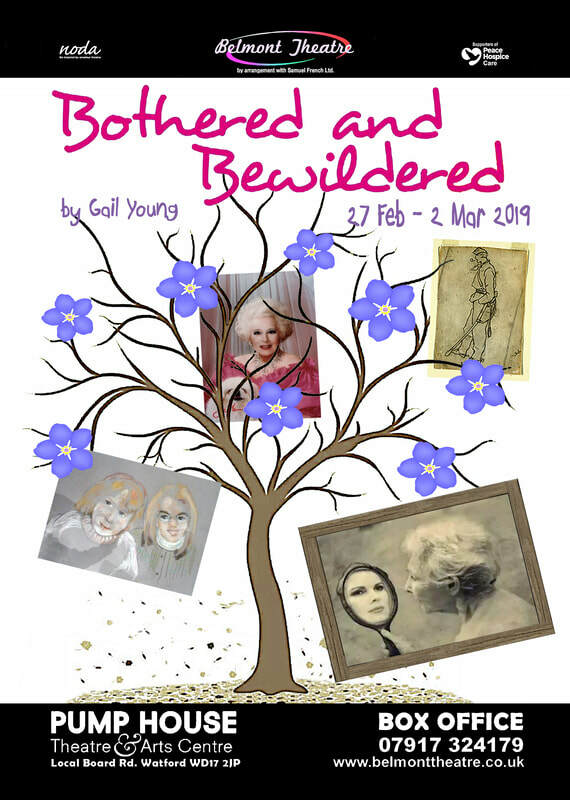 Online booking via Ticketsource for Bothered and Bewildered opens on 24th October 2018. Box Office for other booking methods will open on November 5th using 07917 324179 or the Box Office details shown HERE. Please note that Credit/Debit cards can only be taken via Ticketsource on-line. For more information see the play's own Facebook page!